Here we get a very short but sweet teaser for the video of the next Professor Green music video for the track ‘Jungle’ taken from the album ‘Alive Till I’m Dead’. I have been hoping and praying that Professor Green would make a video for this track, this song is by far my favourite track on the album. ‘Jungle’ a song that features the vocal talents of Maverick Sabre (featured on this very site way back when, click here.) describes the darker side of London town that Professor Green knows. The video, judging by the teaser seen below is just as dark and looks like the visuals will suit the track perfectly. Check out the teaser below, full length version of the video will be released in a few days on 8/11/10. So keep watch. 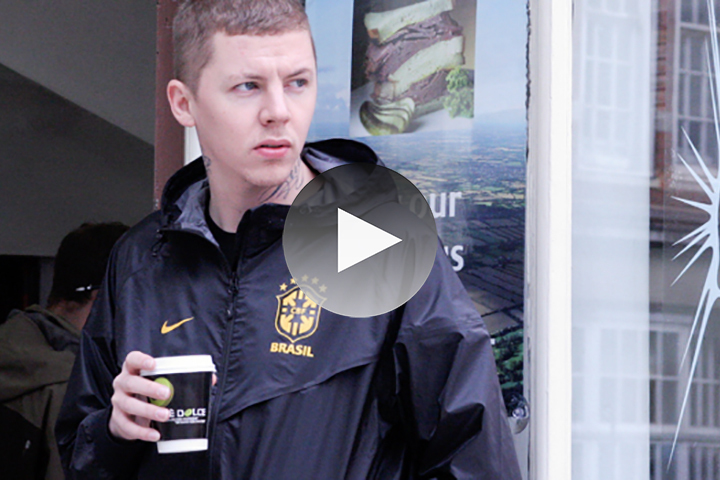 For more on Professor Green check out our feature on the man here, or head over to his site here. BIG TUNE! RESPECT DUE TO PROF GREEN. FTTK!